The foundation stone laying ceremony of the corridor between Gurdwara Darbar Sahib in Kartarpur, the final resting place of Sikh faith's founder Guru Nanak, and the international border with India will be held in Narowal today. A religious corridor linking a revered Sikh shrine on the bank of Ravi river in Narowal with India's border district of Gurdaspur has the potential to bring "hope and peace" between the two countries, feel people on both sides of the border said ahead of its ground-breaking ceremony on the Pakistani side. Pakistani Prime Minister Imran Khan, senior politicians of Pakistan's Punjab province and a host of top officials will be attending the event at Narowal - around 120 kilometres from Lahore. The foundation stone of the corridor on the Indian side, from Dera Baba Nanak in Punjab's Gurdaspur to the international border, was laid on Monday by Vice President M Venkaiah Naidu. The corridor, which will facilitate the visa-free travel of Indian Sikh pilgrims to Gurdwara Darbar Sahib in Kartarpur, is expected to be completed within six months, Pakistan Foreign Office Spokesman Mohammad Faisal said on Tuesday. "We have fought a lot in the last 70 years. There was no gain from those fights by either India or Pakistan. It is now time we begin a new journey and the Kartarpur corridor has the potential to bring peace," said Abbas Khan, a 60-year-old Pakistan trader, a resident of Narowal. Another Pakistani citizen - Bilal Mohammed - who is from Lahore said Prime Minister Narendra Modi is an influential leader and both he and his Pakistani counterpart Imran Khan can bring changes in bilateral relations if they want. Kartarpur Sahib is located across the Ravi river in Pakistan and is about 4-km from the Dera Baba Nanak shrine. The corridor, once built, will give Indian Sikh pilgrims easy visa-free access to the shrine in Kartarpur. Elaborate preparations have been made at Narowal for today's event which will be attended by a host of dignitaries. 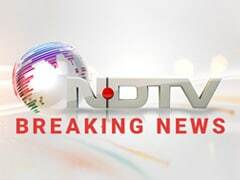 Cricketer-turned politician Navjot Singh Sidhu has already arrived in Pakistan for the event. The Indian government has sent Union ministers Harsimrat Kaur Badal and Hardeep Singh Puri to represent India at the event. Many Indian residents at the Attari-Wagha border also welcomed the move by both countries to build the corridor. "It has been our demand for a long-long time and the governments of both the countries have now decided to roll out the project. We are very happy," said 35-year-old Manjeet Singh. "The corridor will boost tourism and it will be beneficial for us. It will help us economically. The face of the areas may change because of the corridor," said Ranjita Singh, a college student. India had proposed the corridor to Pakistan around 20 years ago. The issue of Kartarpur Sahib came into focus after Navjot Sidhu visited Pakistan in August to attend the oath-taking ceremony of his cricketer-turned-politician friend Khan as prime minister of that country. After his return, Mr Sidhu said that Pakistan Army Chief General Qamar Javed Bajwa had told him that Pakistan may open a corridor to Kartarpur Sahib. Mr Sidhu has termed the Kartarpur Corridor as a "corridor of infinite possibilities" and said such initiatives would promote peace and erase "enmity" between India and Pakistan. "The seed Imran Khan had sown three months ago has become a plant. 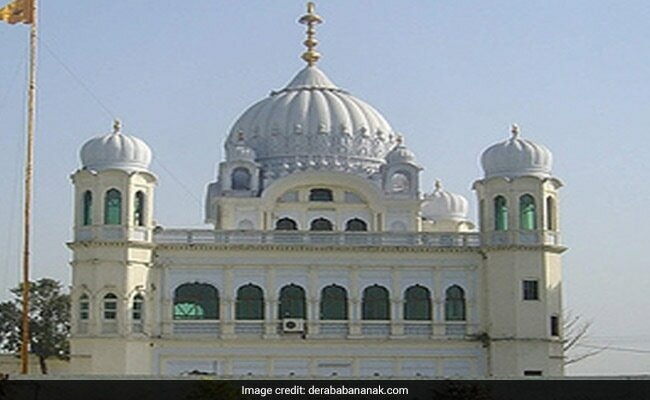 It is a happy moment for the Sikh community that the corridor will be built to reach Kartarpur to get Baba Guru Nanak's blessing without any hassle," he told the media. "Kartarpur corridor will prove to be a path of peace," Mr Sidhu added. He further said he was "surprised" when Pakistan's army chief told him that Pakistan intended to open Kartarpur corridor during his last visit. "Gen Bajwa literally surprised me saying that Pakistan intended to open the Kartarpur corridor," he said. Mr Sidhu was asked about criticism he faced for hugging Gen Bajwa at Imran Khan's swearing-in ceremony three months ago in Islamabad, to which he replied, "It was just a 'jhappi' (hug)."